'You are a wronged woman and shall have justice. Do not bring police. If you do, all will be in vain. Your unknown friend.' 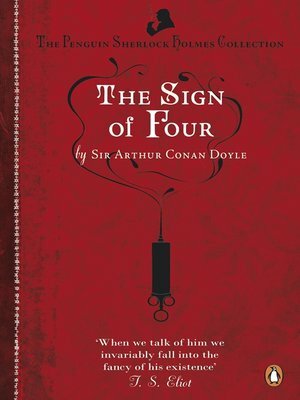 When a beautiful young woman is sent a letter inviting her to a sinister assignation, she immediately seeks the advice of the consulting detective Sherlock Holmes. For this is not the first mysterious item Mary Marston has received in the post. Every year for the last six years an anonymous benefactor has sent her a large lustrous pearl. Now it appears the sender of the pearls would like to meet her to right a wrong. But when Sherlock Holmes and his faithful sidekick Watson, aiding Miss Marston, attend the assignation, they embark on a dark and mysterious adventure involving a one-legged ruffian, some hidden treasure, deadly poison darts and a thrilling race along the River Thames.